Google announced plans today to acquire a portion of Fossil’s smartwatch technology for $40 million. As part of the deal, Google will also get a portion of Fossil Group’s research and development team. It’s not exactly clear at this moment what specific tech Google is shelling out for—but the acquisition paradoxically both makes a lot of sense and is a bit of a head scratcher. First off, the transaction makes sense because Fossil is Google’s longest-standing wearables partner. While we’ve seen Wear OS (formerly Android Wear) watches from other companies like LG, Fossil has the most expansive and stylish collection powered by Google’s wearables platform. That’s where the head scratching comes in. Fossil’s strengths generally lie in its hybrid analog watches. These watches are basically stylish, old-school looking watches that have hidden smart features. They typically get great battery life, track basic metrics like steps, and can ping you with push notifications—but do little else. 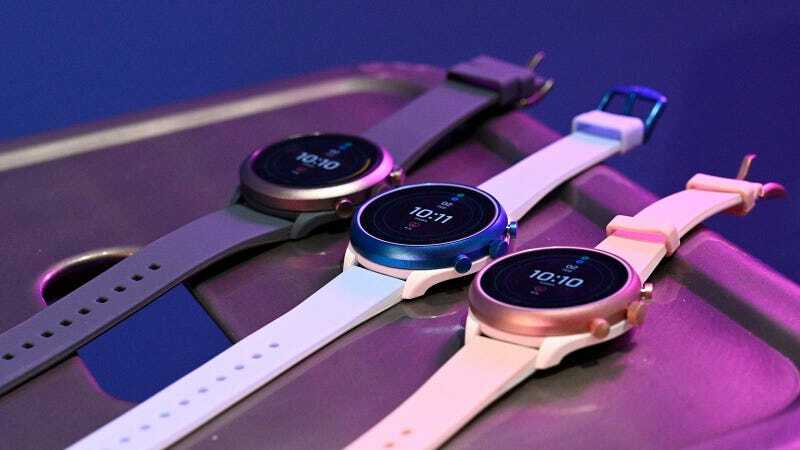 Fossil has only recently stepped up its Wear OS game with the Fossil Sport, and just this month were features like heart rate, NFC, and GPS added to its Kate Spade and Michael Kors Access Sofie smartwatches. But when it comes to the rumored Pixel watch, this doesn’t offer much confidence. Google’s smartwatch platform has had its ups and downs, and at this point, a couple redesigns and rebrands. It’s also been held back by the battery-guzzling Qualcomm Snapdragon 2100 chip, and so far the latest 3100 chip hasn’t been incorporated into many watches on the market. (Right now, it’s just the Fossil Sport and Montblanc Summit 2). Fossil’s watches are undoubtedly the best Wear OS hardware out there, but they really don’t compete on the same level as Samsung’s Tizen-powered Galaxy Watch or the Apple Watch. So a hybrid-analog Pixel? No, thank you. That seems like a total waste of Google’s efforts to revamp Wear OS and a let-down for everyone hoping for a good Android touchscreen smartwatch. Which leaves me squinting for clues at Burr’s comments on “wellness.” Again, as far as health tech goes, Fossil has thus far been playing catchup to the Apple Watch, Fitbit, and Samsung. In any case, it’s about damn time there was a good Android alternative to the Apple Watch, and hopefully this acquisition is a sign that Google’s ready to stop dragging its heels.